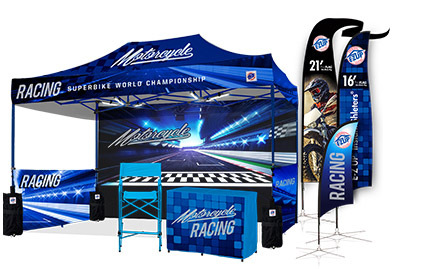 Since 1983, E-Z UP has been helping companies drive sales and create brand awareness with our extensive line of instant portable shelters, tables, flags, banners and accessories. 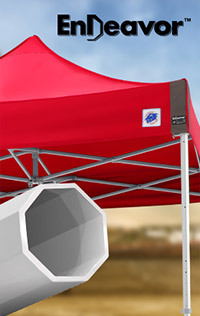 With millions of customers worldwide, we’re proud to be the #1 provider of Instant Shelters® and accessories in the world. We have an unparalleled reputation for quality, service and support, and take pride in the fact that we are the shelter of choice for small businesses, all branches of the United States military, and billion-dollar conglomerates. 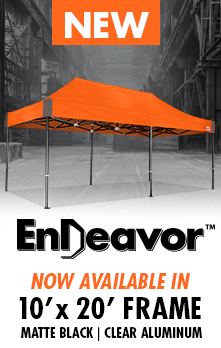 At E-Z UP, success is not only defined by how much product we sell, it is just as equally defined by the sales our dealers generate by carrying our product. We embrace the philosophy that in order for us to be successful, our dealers must be successful. This “partnership” mentality is at the core of everything we do. We hope you see an opportunity with us to achieve your sales goals, and to increase the overall growth of your company.